The University of Alaska Southeast is welcoming Spring and engaging the Juneau community with arts events this coming Friday April 1 and Saturday April 2. An exhibit of UAS student art and a photo card fundraiser for Tsunami Relief is First Friday at the Juneau Arts and Culture Center April 1. Also on First Friday is a student theater production at the Canvas: Bailout. 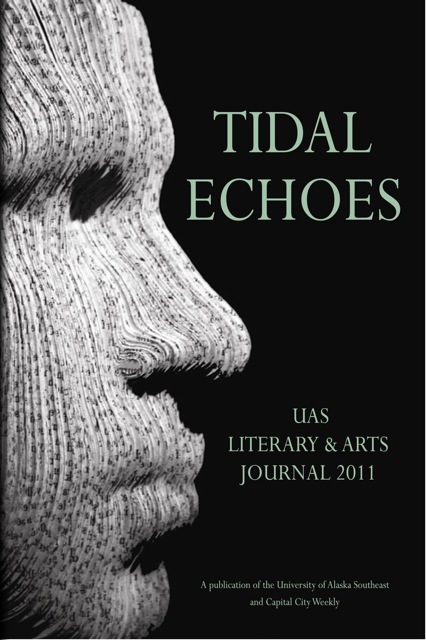 Saturday April 2 is the launch event for the literary and arts journal Tidal Echoes at the Egan Lecture Hall of the UAS Campus. Juneau Arts & Humanities Council Gallery (350 Whittier Street, Juneau Arts & Culture Center). Work in the show will include painting, drawing, printmaking, sculpture, ceramics, photography, design, and Northwest Coast artwork. All artwork was created by UAS art students during the current academic year. This year’s guest juror is Sitka resident and artist Liz Zacher. The general public is invited to the reception. The exhibit will be open through the month at the Juneau Arts & Culture Center through April 22. Gallery hours: Monday, Tuesday, Wednesday 10 am to 5 p.m., Thursday and Friday 10 am to 6 p.m., and Saturday noon to 4 pm. UAS student and photographer Yosuke Sano will be selling greeting cards graced with some his landscape images of Japan and Alaska as a fundraiser for the Red Cross fund for Japanese Earthquake and Tsunami Relief. Yosuke is the only UAS student to have reached the summit of Denali on a UAS Outdoor Studies expedition in 2010. The sale will take place in the JACC lobby outside the UAS juried show. Please see one of his stunning photos attached. Tidal Echoes is a literary and art journal that showcases the art and writing of Southeast Alaskans from the University of Alaska Southeast. Come and hear our featured writer Heather Lende and featured artist Nicholas Galanin as well as readings of works by some of the writers published in the ninth annual edition of Tidal Echoes. Refreshments will be provided.